This is the Last Week To Join Us In February!!!! Joy found this Cherry Almond Coffee Cake at epicurious.com for a few weeks now, thinking it would be a wonderful treat for the holiday season. I love cherries, I love almonds, and I really love cherries and almonds together. So, I gave it a test run this weekend, and it turned out wonderfully, gorgeous and so delicious. Welcome back~ this is part two of the strip it, sand it, stain it, paint it and age it post. To see part one of this tutorial, CLICK HERE. I’ve been working on a few fun DIY things this January, and two of them happen to collide for my Valentine’s Day Party Sneak Peek! 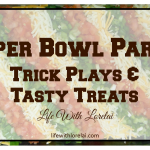 Alyssa share a fun breakfast recipe Nothing like pizza for breakfast! A fun way to get your morning started with Apple Pizza topped with warm, soft, cinnamon apples! Next Month 1 Party on over 14 Blogs!! Its Free!! New Giveaway!! 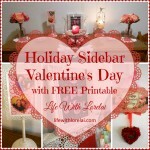 When you add your link to the linky party along with your email, it will be used to send you a weekly email only used for the invitation to join us for Wordless Wednesday and gives Oh My Heartsie Girl blog permission to share your posts, pictures and links if chosen, in upcoming posts. Any content used will have proper credit and Link backs will be provided. 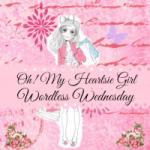 Happy Wednesday, thank you for Co-Hosting with the Oh My Heartsie Girls WW this month, it has been fun to feature your blog over the past weeks. Hope that will visit us for WW in the coming months and continue to share your blog. I hope you have a great day, be well!! Oh my! 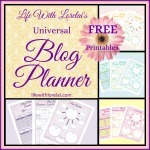 There is lots of good stuff to check out in this linky! 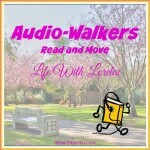 thanks for hosting.Had some good read with many interesting posts…. Thanks so much for the linky goodness! Hi! Dropping by to a fellow co-host of the Oh My Heartsie party! Cute blog! Have a terrific week!